Christ was there – a poem written by James William Higham (my dad) shortly after the massacre. He was one of the first of the scene cause they were living next door at the time. While death took over more lives to gain. For Lazarus his friend, for me and for you. That God holds you firmly in the palm of his hand. Jesus was there at that door and wept. On this day in 1993 four gunmen from the Azanian People’s Liberation Army (APLA) opened fire on the congregation of St James Church, Kenilworth during the evening service. 11 member of the congregation were killed and 58 were wounded. 4 Months old and going strong! 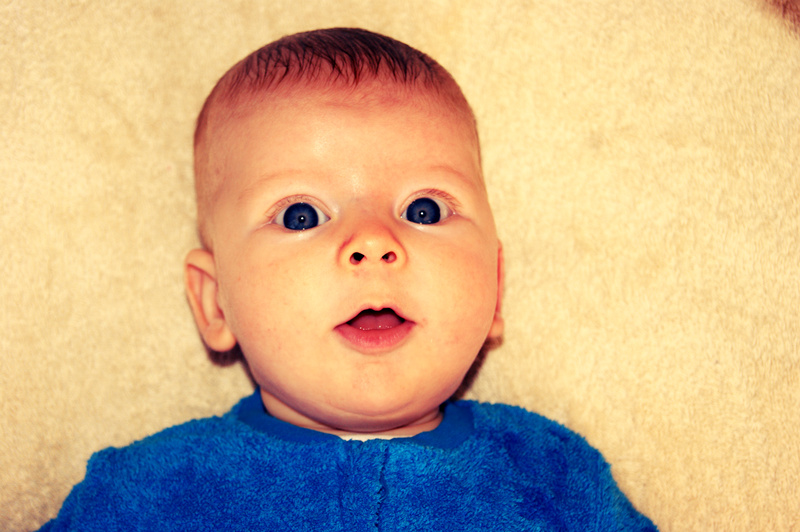 Wow our little man is growing so quickly and doing so well. I can’t rave about him enough, in fact sometimes I feel like that’s all I talk about when someone asks me how I am doing… oops! It’s amazing to see the subtle but amazing changes he is going through. Last month he discovered his hands and it was all awkward and he kept doing silly things like hitting himself in the face or grabbing things but not realizing he has them. Now instead of just flailing around his actions and movements are so much more slick and precise he can even grab his dummy now and is only days away from being able to put it back in his mouth. 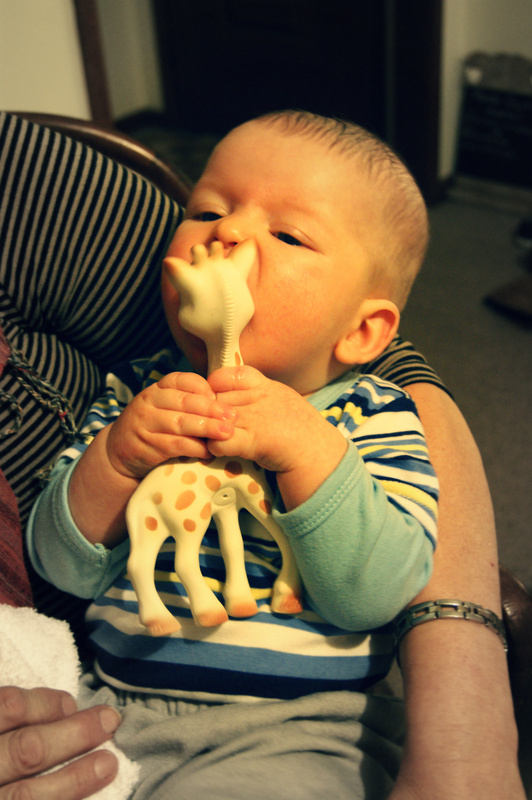 In fact everything goes in his mouth now, from my fingers to his favorite toy (Sophie the giraffe). He has even stretched the legs on one of his dangling toys just so he can get it into his mouth. He is so close to rolling over I can feel it. When he is on his back he always lies with his legs so high up in the air he is almost touching his shoulders. He has managed to roll once or twice from lying on his tummy onto his back but I think that had more to do with the fact that his head is so heavy he couldn’t hold it up anymore and it ended up toppling him over by mistake. He is doing so well sitting up (with a bit of support of course) he can sit on my hip without bobbing up and down to much and we have tried him a couple of times in the high chair and he seems to be ok so far. 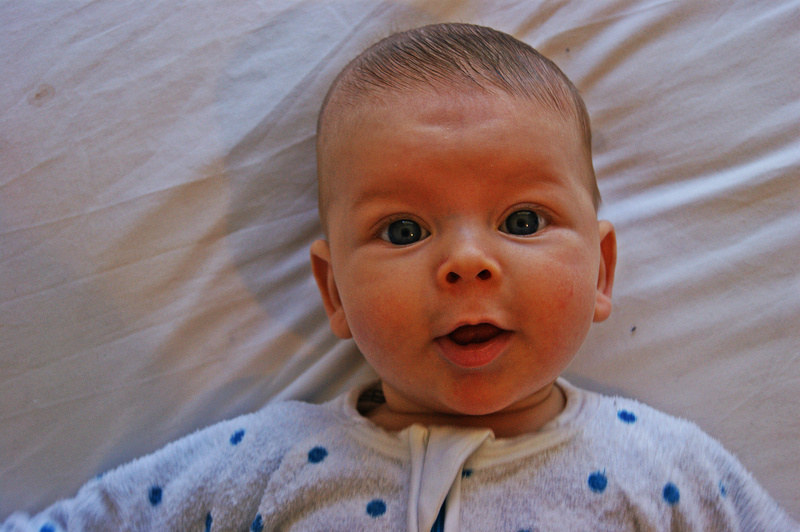 So next month if he does really well holding his beautiful little head up we may even be ready to try some solids. 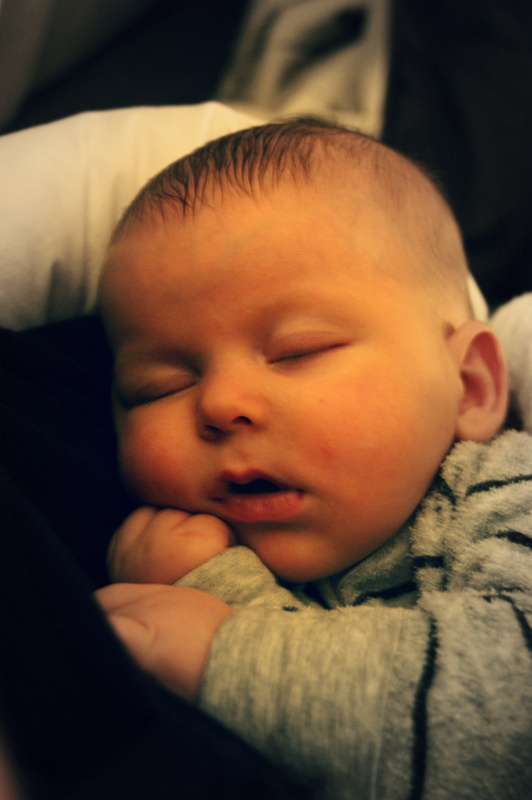 He really is such a joy, hardly ever cries anymore and when he does it’s getting much easier to figure out what is upsetting him, although we have had a few occasions where he just wakes up suddenly screaming his gorgeous little head off and all I can do to help him is cuddle him till he settles down. His smiles and giggles however keep us totally entertained and I often end up sitting around for hours just watching him. He loves laughing at Sean especially when he tickles his neck with kisses and he just doesn’t want to do it for me so I am contributing it to his beard cause he isn’t allowed to love his daddy more than me. We really love this little man more and more each day, I know not everyone has the same experience with their first child but we can’t complain about him at all. From feeding and bathing, to playtime and sleeping we are loving every minute. We have recently entered our darling William into a photo competition to win a pram (ours is second hand and broken so a new one would be amazing!!!). 4. Share these instructions with as many people as possible.